Once again I find myself in the midst of enormous challenge. One that is pushing and shoving me into ANGER MODE. The situation requires patience on my part while I want to scream bloody murder and throw a full-scale production tantrum. Folks privy to the details of the boring story would agree that my percolating state is excusable. I am really good at a full-scale production anger tantrum. Someone witnessing one might even call it powerful. Really it’s just exhausting and depressing to lose control like that. And then there’s the fact that I have to be the yogi here. I have to practice what I teach or I am quite simply a fraud. What a great opportunity for me to let my practice shine, right? Oh it is so hard! And utterly humbling. This week the theme of my classes is an exploration of the humble nature of empowerment. The Anusara yoga method that I practice and teach is one of empowering ourselves to make good choices that enhance our Light, and others’ Light too. I desperately need some empowering wisdom in the face of this anger and the escalating situation that is fueling it. I need to stand up for myself, remain steadfast in my center and proceed without freaking (or fizzling) out. This requires me to draw heavily on my practices of prayer, asana, and meditation. Every time I start to feel a wave of the anger (or despair) taking hold of me this is what I do: I stand with strong legs, lengthen the sides of my body so that I am my complete height, then I bow my head, soften my ribcage back while keeping my shoulders moving back. I drink a full breath in, around all sides of my heart. Immediately I connect with the interior landscape, the gateway to my essence (your essence and the Earth’s essence too) which is Wise, All Knowing, Clear, Pure, Good, Consciousness. I literally take a reverential posture and bow down to the Divine nature of my being. I humbly surrender, knowing without a doubt in every cell of my body and to the core of my being that ‘this too shall pass’. I become calm and clear. Gratitude for all of the good things that are working well descends upon me . Then and only then am I truly in my Power– which will light the path through this situation and all others that arise. So the countdown begins. Ten days until I start the journey to cross Ocean and Continent bound for India. Or rather, bound ‘to’ India. The seed was planted 24 years ago when I lived with an Indian girl my freshman year at Indian Springs School. Her exotic beauty and stories of Delhi and Bombay ignited the spark that continued to burn more brightly year after year. I believe her influence caused my gravitation to yoga a few years later. I have been actively working, saving, and planning for this trip for 18 months. To leave my husband, family, house, dogs, and business for four weeks seems like such a long time. There is a tiny part of me that thinks my little universe will crumble if I don’t hold it up. But there is a wiser part of me that knows all is well and will be well here in my absence and that I must do this. My higher self assures my fearful aspects that the Universe is infinite, intelligent, compassionate and inviting me to have a look at the world from the perspective of a high flying Bird, to expand my horizons, to steep myself in another’s culture, to live life to the fullest now. Who wouldn’t accept that invitation?! The last major tasks to take care of before departure are bills and taxes. Sheer WORK. My friend Michelle Baker said last weekend at Yoga Birds that we often have to move through ‘thick energy’ to experience the freedom of a yoga pose or a situation. It’s very much in the same realm as the theme of my yoga classes this week. We are exploring the balance between Work and Play in the poses. There is an innate pulsation and equilibrium of work and play in every pose and every situation that we encounter or embark upon. Keeping with the Order of the Universe, we must first do the work so that we can really play. It is just like the Anusara Universal Principles of Alignment- we create muscle energy first and then we playfully stretch and extend in the poses. If we play before we work, the poses are unsteady and the risk of injury increases substantially, and frankly not very fun. So this week it’s the tedious mandatory work of tax time that sets the path for the ultimate Divine play of answering the long-time call of the Motherland. 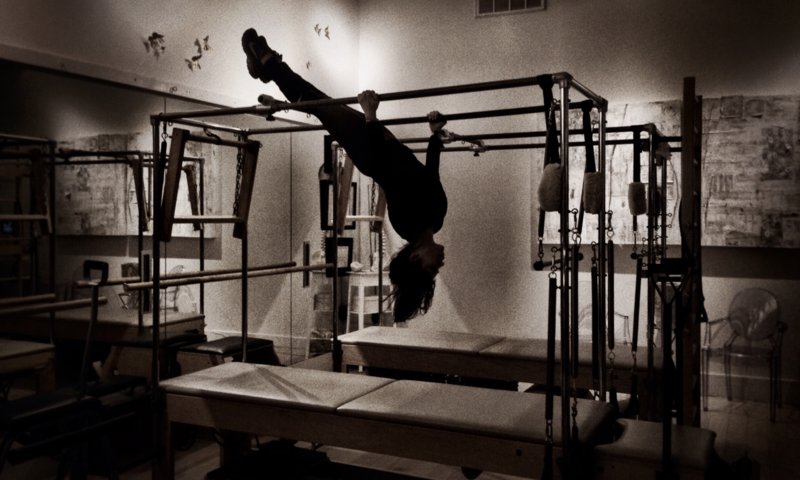 Come play with us at Yoga Birds this week. Oh and, Yoga, thanks so much for showing me the Way! 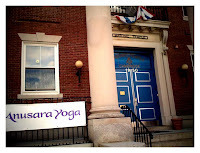 Last week I spent 5 days studying Anusara Yoga with John Friend in Cambridge, MA—a 3-day teacher’s intensive and two days of observing and practicing asana classes. 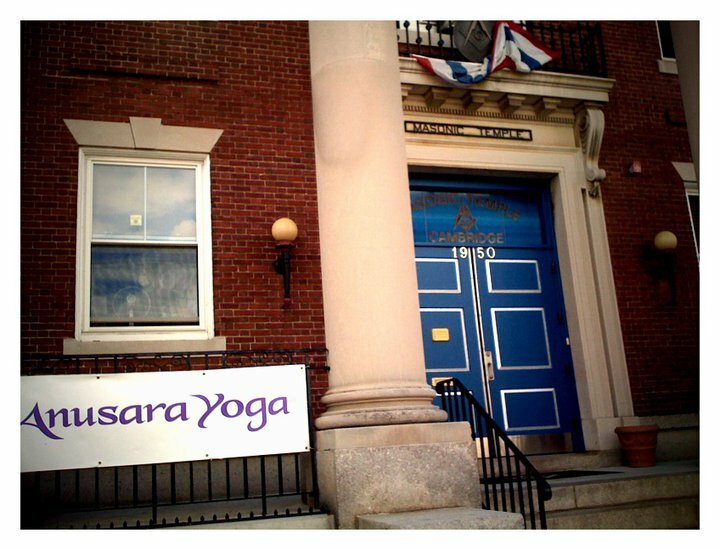 I arrived in Boston admittedly depleted from several months of non-stop teaching, definitely needing to ‘receive’ teachings for my own benefit and restoration as well as to further advance in my understanding of the Anusara method to continue to be a good teacher to my students. The 36 hours of training were all that I was expecting and more. Being surrounded by 150-160 yoga students every day, practicing and learning the high arts of asana, pranayama, meditation, and philosophy- mat to mat under the guidance and watchful eye of a masterful teacher is the kind of stuff I live for. John Friend is truly wonderful. In the sea of students in front of him, from 30 feet away, he gave me a verbal adjustment cue of ¼” hand placement movement which opened up an easeful channel of breath and energy in my whole body and pose. This was just one of the many of his simply amazing gestures of guidance over the week. His presentation of the teachings of the Shiva Shakti Tantra was simultaneously playful and serious. The language of which is foreign to me, but the concepts universally and intuitively insightful. I feel lit up, ultimately balanced, and so excited about living life to the fullest! I spent the week in Boston without an internet connection (that at first caused me panic, then became a liberating situation) practicing hours of asana everyday. My body/mind loves and needed that. I do not take for granted that it was SUCH a luxury. It has been a slow re-entry back into the routine of householder and small business owner. There is a lot of ‘catch-up’ and work to tend to. And I am figuring out how to take the teachings out of the Masonic Hall in ‘The People’s Republic of Cambridge’ (home of Harvard and MIT among other brainiac institutes) and into my Yoga Birds world in Fairhope, Alabama. I have come away from the week with heightened awareness of what is meaningful in my life—love and relationships topping the list– and how to cultivate more sensitivity in all of my friendships…at home, at work, and most importantly in myself. I reconnected with my BFF and look forward to practicing with more self-sensitivity, which will reflect in and support all of my actions off the mat. ‘Cuz that’s the way it’s always been with me and my friend, yoga. The past several weeks of work have been a whirlwind. The activities of covering the schedule of daily classes at the studio to presenting the whole weekend of Teacher Training to running the ‘behind the scenes’ nuts and bolts of a small business have left me admittedly a bit depleted. It is funny though, when I am in the actual moments of teaching, I feel exhilarated and excited like a deeper energy is welling up and directing the course. One of the cooler things too is that while it is happening, I am fully aware of my witness consciousness’ awareness of it. Awareness of awareness. I always heard about this phenomenon, and now I am actually experiencing it on a regular basis. I cannot help but think this insightfulness is a cause de the more frequent and consistent sitting meditation sessions. And then I remembered why I am doing all of this. Hatha yoga is a system, that when practiced skillfully, heals, energizes, brings us to our best selves, is fun, and creates community. Our area needs more yoga classes and therefore needs more trained yoga teachers. When I remember that it is all in service to the people and health of our community, I am re-energized. Then I remember that in a few short days, I too will get to be a student again in a classroom with my teacher. And then a week later I travel to study with John Friend, the leader of this fantastic Anusara Yoga that I love so dearly. I will be a student with other teachers who are out there working to bring the light of yoga into their communities. Practicing alongside them, sharing stories and experiences of our paths. The predictability of the energetic benefits of being a student once again jazzes me up and makes me excited to be in the midst of doing my dharma. And then I realize what a great gift and blessing it is to be so tired from THIS work. I am so so so blessed and grateful for this moment—every facet of it. And psyched beyond belief to be going to work to teach yoga at Yoga Birds this morning. Somebody pinch me! OM. The Teacher Training students are just amazing! Yesterday we did a super-charged 3-hour practice progressively leading up to Eka Pada Galavasana. We were all completely drenched and it was wonderful! I am grateful, and impressed with the level of attention and dedication everybody brought to the table. I now realize that if it is my intention to raise the bar on the quality of yoga teaching in this area, then I am going to have to raise the bar on MY teaching! It is all a pulsation, right? I am so grateful for my teachers and consistent dedication to training on the Anusara path. I feel like the work I am doing as a dedicated student of Anusara IS making me a better, stronger, more clear instructor of yoga asana. And the Anusara method is just brilliant. The Universal Principles of Alignment that John Friend codified make even the most complex of poses more manageable and accessible. And although this Yoga Birds Teacher Training is definitely not an Anusara Teacher Training, the Asana Techniques part of the training is certainly heavily influenced by John Friend’s method. This past week, was the first week of the new Fall schedule at Yoga Birds where I was able to name my classes Anusara-Inspired® Yoga (previously named Align & Flow). On the new schedule, I will be teaching the same class three times per week- Tuesday 9:15am, Wednesday 6:15pm, and Thursday 9:15am. Each of these sessions will be the same progressive sequence leading up to a pinnacle pose on the Level 2 Anusara Syllabus (poster is hanging in the studio). The pinnacle pose is meant to be a complex situation, and the progressive sequence leading up to it will break the challenge down into manageable, component parts and poses. By offering the same class 3 times, it is my hope that the folks who are interested in advancing in understanding and practice of STRONG, STABLE, and EXUBERANTLY JOYFUL asana will come and partake. (Next week we will foray into Eka Pada Urdhva Dhanurasana territory.) This teaching method is a great way to serve folks who want to advance in their asana practice. Of course its REALLY important that students have a confident understanding of the foundations of yoga asana and good relationships with their bodies before embarking on advanced asana. I am so grateful for the opportunities that I have to share my love of yoga with the Lower Alabama community and I am utterly nourished daily by the Namastes that I receive in return. Namaste Y’all! Yesterday was kind of perfect! I arrived at work early to practice the progressive sequence to Eka Pada Galavasana (an arm balance pose aka flying pigeon or flying crow), which I taught again in the 9:15am class. Some people are into it and a few aren’t. One person arrived to class unaware that the schedule had changed, expecting a different teacher and class. She made a slightly rude comment that could be construed as unnecessary and kind of hurtful. But she was totally unaware. So instead of being all defensive and hurt, I took her abrasiveness as a learning experience. Ahhhh, the yoga it is always teaching me. Once again everyone worked with heightened inner-strength and focus that is just beautiful to watch.